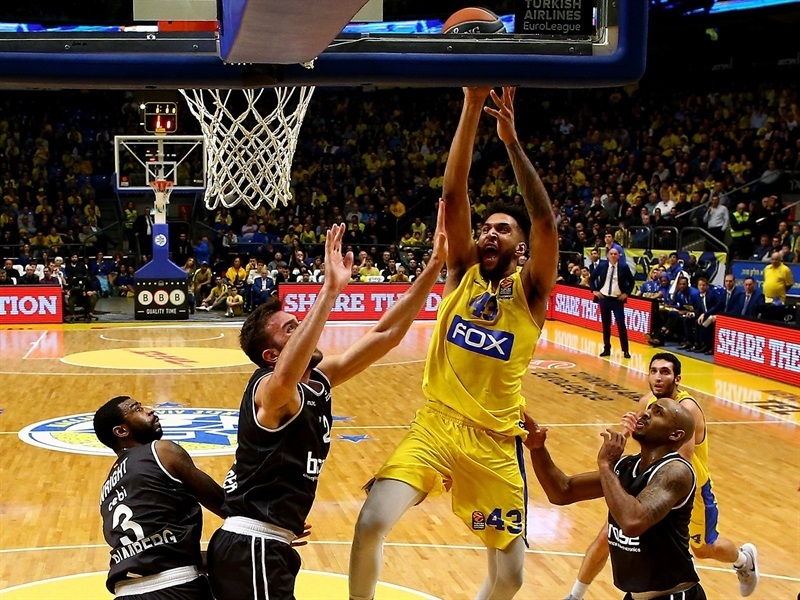 Maccabi FOX Tel Aviv outlasted Brose Bamberg 90-88 in a thriller that came down to the closing seconds on Thursday night at Menora Mivtachim Arena. Michael Roll led six Maccabi scorers in double figures with a career-high 23 points in lifting his team’s record to 9-8. The loss was the fifth in a row for the German champs, who fell to 6-11. John DiBartolomeo scored 14 off the bench for the winners, including all the points in a key 8-0 third-quarter run. 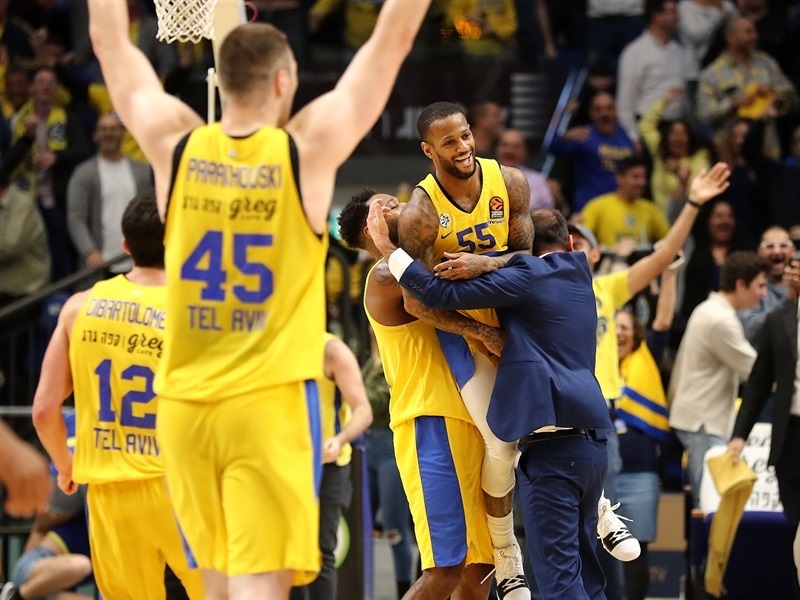 Pierre Jackson tallied 11 points and 8 assists; he had 7 points and 2 assists in the last five minutes as Maccabi rallied from an 8-point deficit. 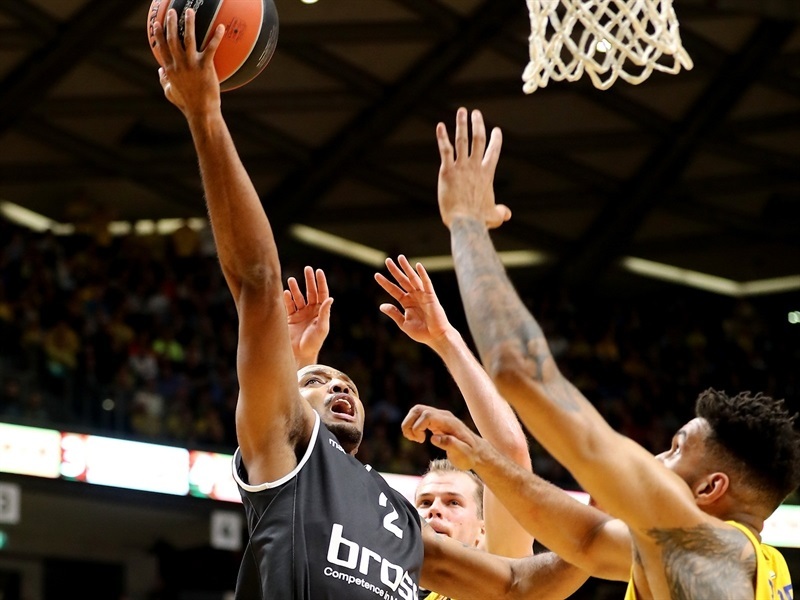 Jonah Bolden produced his first EuroLeague double-double with 10 points, 10 rebounds and 3 blocks; Art Parakhouski posted 10 points and 3 rejections and Alex Tyus also scored 10. 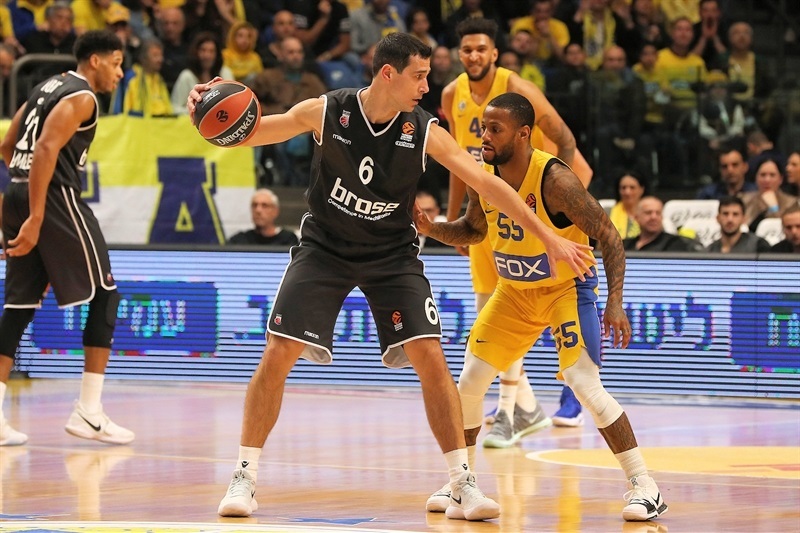 Maccabi blocked 7 shots as a team, which impacted Brose’s shooters; the visitors made only 15 of 29 two-pointers (38.5%). 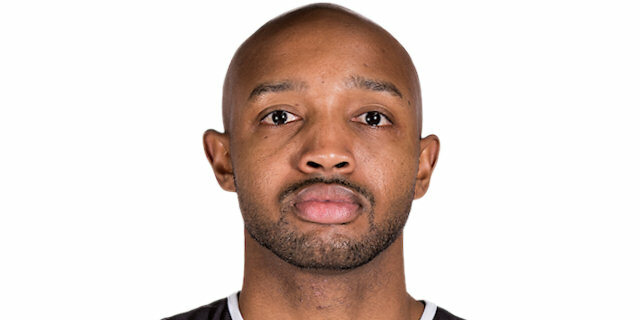 Ricky Hickman, who won the 2014 EuroLeague with Maccabi, led Brose with 23 points, including his team’s first 13 points of the fourth quarter. Dejan Musli set a career high with 20 points plus 7 rebounds and Daniel Hackett finished with 12 points. Ricky Hickman found Musli open inside for a slam to open the scoring for Brose before Bolden drained a triple to get the hosts on the scoreboard. 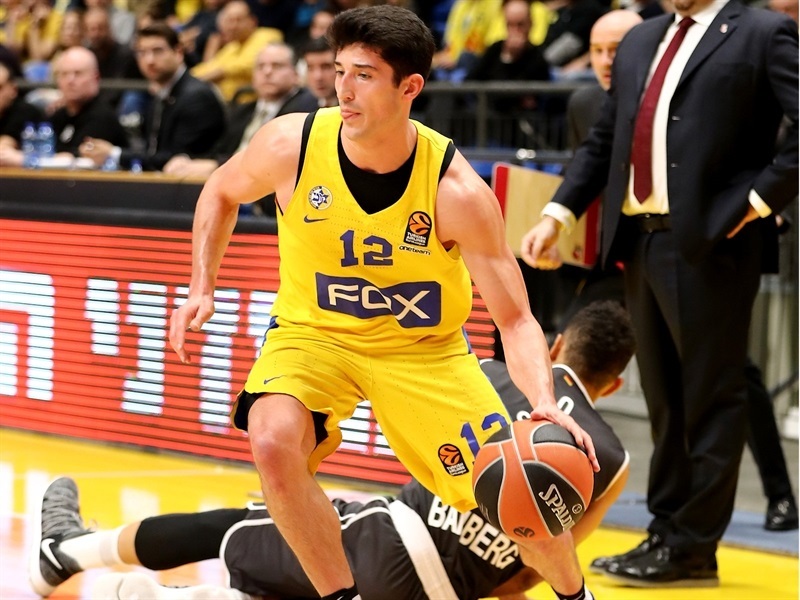 A reverse layup-plus-foul from Parakhouski lifted Maccabi to a 10-6 lead, but Brose came right back through another Musli dunk and a triple by Hackett. Musli reached 9 individual points with a three-point play that evened the score at 14-14 and Maodo Li connected from downtown to put the visitors up 16-19. Brose stayed hot from behind the arc with Lucca Staiger and Dorell Wright each hitting threes to make it 20-25 after 10 minutes. Staiger added another triple to start the second quarter. 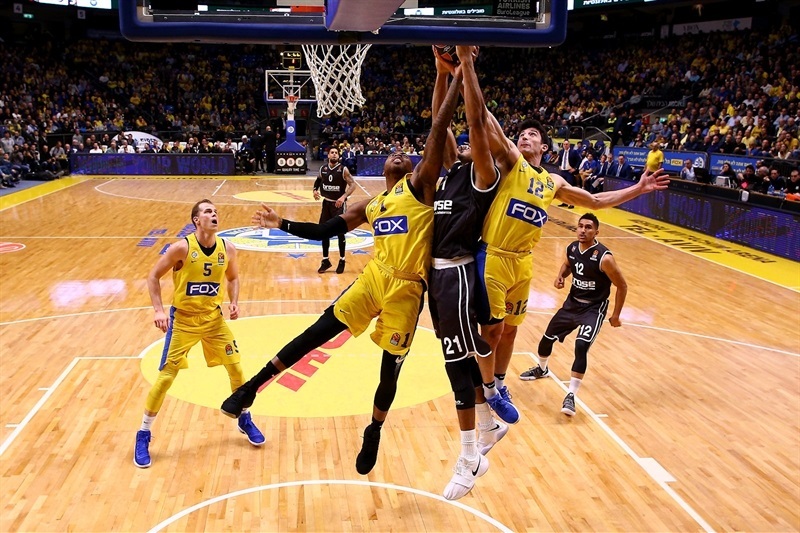 Improved Maccabi defense helped the hosts trim the deficit to 29-32 midway through the quarter. Roll stepped up with 4 free throws, an offensive foul drawn and a layup in transition to make it a 2-point game. Bolden tied it with a pretty play in transition and Jackson tied it with a mid-range jumper. Hickman free throws lifted Brose to a 39-41 halftime advantage. 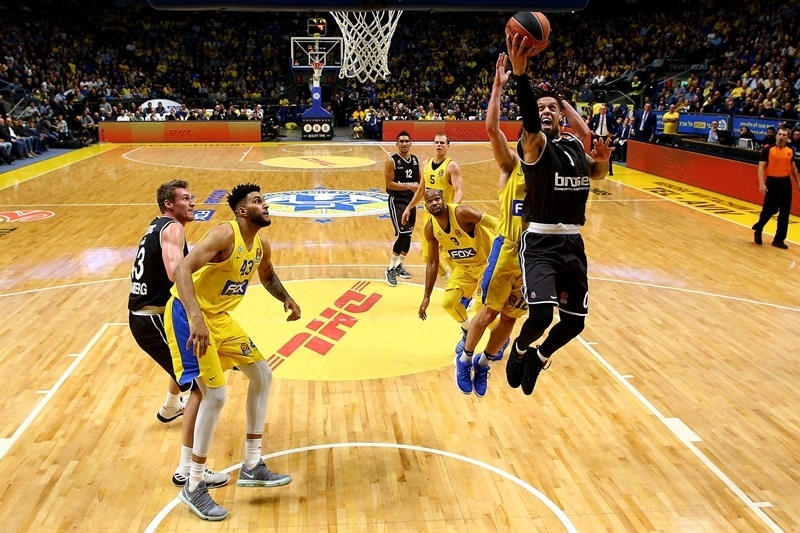 The break worked in Maccabi’s favor; the hosts scored the first 7 points of the second half – 4 of which came courtesy of Tyus slams. Jackson was called for a foul and an unsportsmanlike foul on Hickman for fouling him on a drive and touching him again after the whistle. Hickman responded with 2 free throws and a three-pointer to put Brose back in front. Nikos Zisis also sank a triple to cap a 0-11 run that made it 46-52. Tyus sank free throws and stuffed back a missed layup to trim the game and Roll evened the score at 55-55. 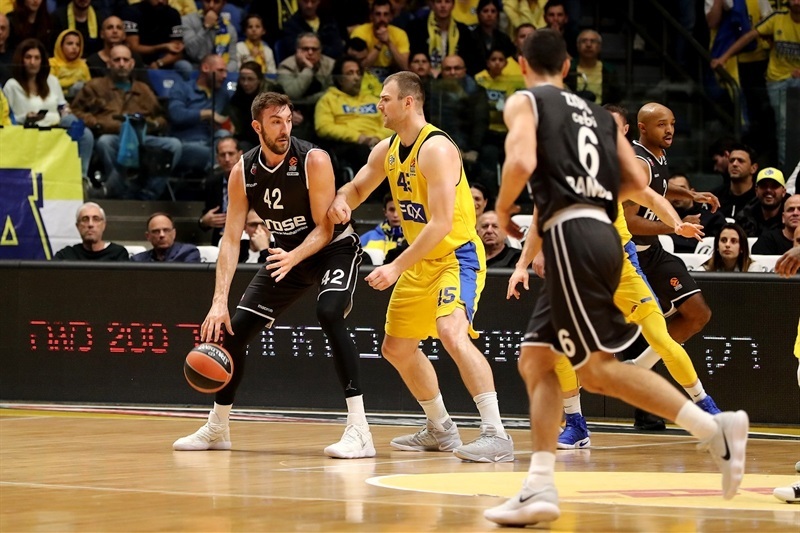 DiBartolomeo stepped up for Maccabi with 8 straight points, though Musli kept Brose close at 65-64, through three quarters. DiBartolomeo and Hickman squared off to start the fourth quarter, trading shots back and forth. Hickman stepped out deep for 3 three-pointers that gave the visitors a 69-75 lead. 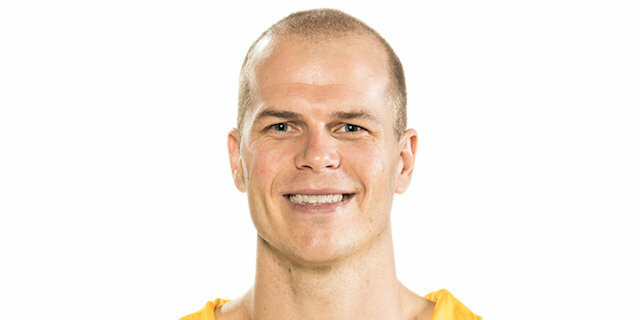 Musli – the first player to score for Brose after 13 straight from Hickman – extended the lead to 8 with free throws. 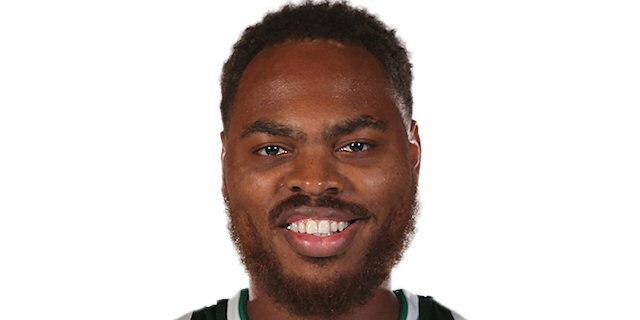 DeShaun Thomas revived the Maccabi attack and Roll got going to make it 81-84. 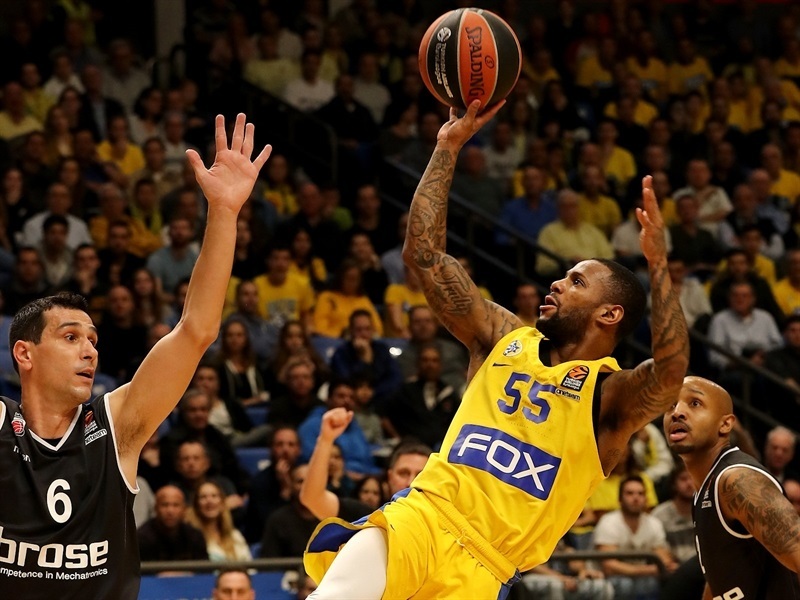 Hackett sliced through the Maccabi defense for a three-point play, but Hickman was called for an unsportsmanlike foul on Jackson and the latter sank 4 free throws to bring Maccabi within 2 with three minutes to play. On the next Maccabi possession, Jackson drilled a triple to put his team ahead 88-87. The game came down to the final seconds, but after Hackett misses a shot to tie it, Jackson came up with a loose ball and dribbled around the entire Brose team to run out the clock and secure the victory. 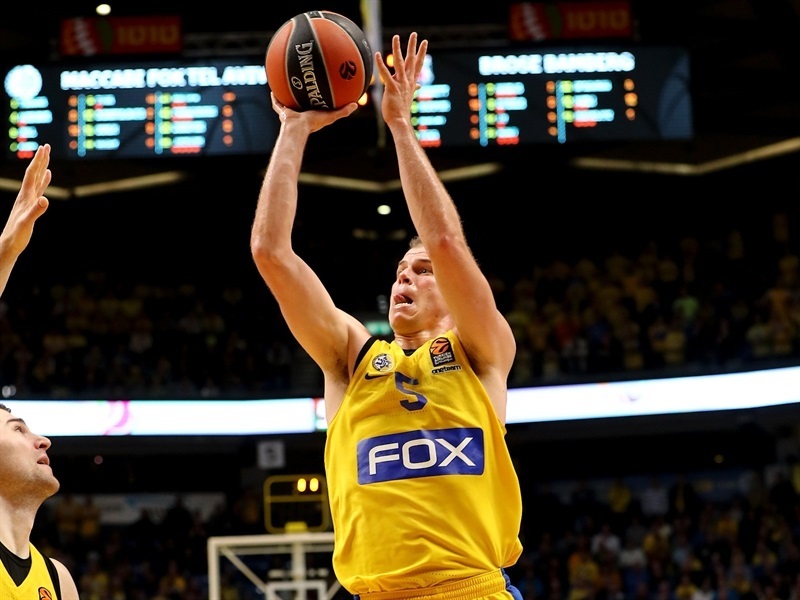 "I am really proud of what [Maccabi] did [in the final minutes]. We are trying, we’re really trying, but sometimes it doesn’t work. Also for me sometimes it’s difficult to understand the reaction of my players. I don’t want to blame them, but we can do way better. We can do way better offensively, defensively. Special mistakes on Hickman three-pointer sometimes is not understandable. At least we have heart, we fought until the last second of the game and we deserve to win because we played 40 minutes and a basketball game is 40 minutes. 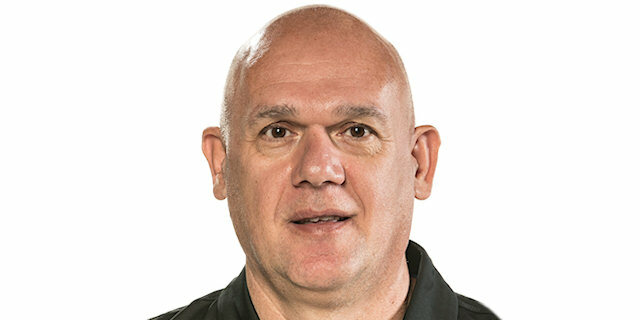 But I really want to tell you that I give credit to Bamberg and their coach; they played better basketball tonight." "I feel very sorry for my players, who put together an unbelievable game. They deserved to win." 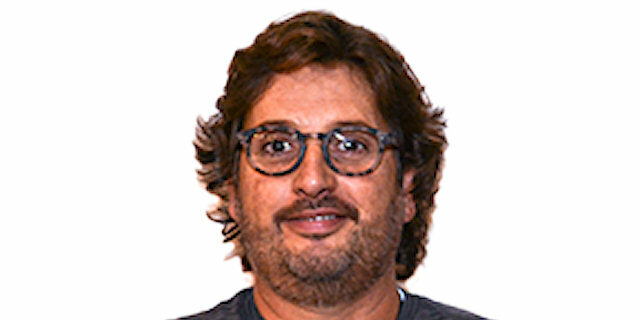 "They have a good team with physicality. They rebounded; they don’t back down. We got over the edge to win with physicality. It’s a good win. We lost two games before. We needed this win to get back above. 500. It was all a good team effort." "That was huge for us. It was a very big game for us. We really needed to get this win and we came out, we fought really hard. Credit to them, they played a great game, but we prevailed in the end. We were trading buckets. We came down to a couple of stops at the end. We were down 6; huge 4-point play by Pierre and from there we just got a couple stops and a couple big rebounds." "I feel like we played a good game. I defiantly feel we were the better team tonight. It’s tough when certain calls don’t go your way. They had a possession towards the end of the game where they had a 7-point possession that really kind of turned the game. We fought to the end, but unfortunately we came up short."